Driving Directions: College Parkway to McGregor, turn right on Landings Dr. 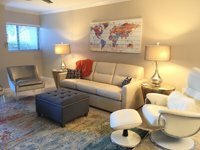 Remarks: Come enjoy paradise in this beautifully remodeled 2 bedroom 2 bath condo located in The Landings! 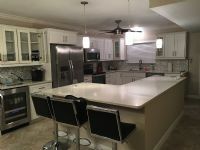 Kitchen has been completely opened to the living room and boasts beautiful white wood cabinetry and quartz counter tops. 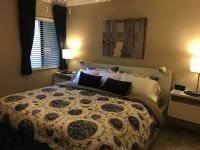 The condo has been newly furnished with a modern flair and both the master and 2nd bedrooms have king beds. The Landings is an all-inclusive golf and tennis community. Upon arrival, the renter pays a one-time fee of $300 to transfer the owners’ amenities to the tenant for use during their stay. 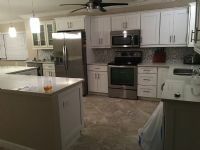 This includes unlimited golf, tennis and,pickleball as well as use of the fitness center and the 2 on site restaurants and all other activities The Landings has to offer.